Christopher Bail seeks to cast a dark shadow over conservative organizations combating the spread of radical Islam in the United States. Christopher Bail, a rising academic star, boasts a Ph.D. from Harvard and holds the Douglas and Ellen Lowey Assistant Professorship of Sociology at Duke University. 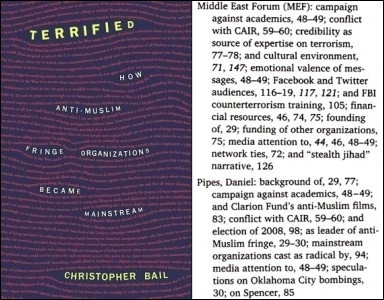 In 2015, Princeton University Press published his Terrified: How Anti-Muslim Fringe Organizations Became Mainstream, which won the American Sociological Association's 2016 Distinguished Book Award for the sociology of religion. traces how the anti-Muslim narrative of the political fringe has captivated large segments of the American media, government, and general public, validating the views of extremists who argue that the United States is at war with Islam and marginalizing mainstream Muslim-Americans who are uniquely positioned to discredit such claims. a big-data analysis of more than one hundred organizations struggling to shape public discourse about Islam, tracing their impact on hundreds of thousands of newspaper articles, television transcripts, legislative debates, and social media messages produced since the September 11 attacks. No wonder he won those impressive prizes and has a brilliant career ahead of him! And good for him, too, protecting mainstream Muslims from the crazed anti-Muslim fringe. Bail's index entries for the Middle East Forum and myself. But, with regret, now, I must report that on leaving the dust-cover encomia and immersing myself in the actual contents of Terrified, Bail's grand theory collapses, crumbles, and crumples. Notwithstanding all that training, the youthful professor makes an elementary and monumental error: He mixes up the fringe and the mainstream, thinking the one is the other, and the other, the one. Thus, his "anti-Muslim fringe organizations" are not, as the blurb leads one to suppose, neo-Nazis, the KKK, the alt-right, or other nasties; they are, in fact, mainstream conservative organizations whose personnel write for major publications, testify before Congress, and staff Republican administrations. Bail focuses on four: the Center for Security Policy (headed by Frank Gaffney), the Foundation for the Defense of Democracies (Cliff May), the Investigative Project on Terrorism (Steven Emerson), and the Middle East Forum (Yours Truly). Bail's confusion may arise from the fact that while conservatives are almost as rare as unicorns on the Duke University faculty, nationally 37 percent of Americans describe themselves as conservative, making them a plurality (moderates make up 35 percent and liberals just 24 percent). Some fringe. Some sociologist. Conversely, what Bail calls "mainstream Muslim-Americans" are decidedly not mainstream but Islamist, seeking to create a worldwide caliphate, replace the U.S. Constitution with the Koran, and impose a medieval law on Americans. 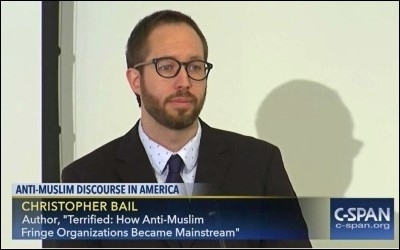 Bail praised the Islamist Council on American-Islamic Relations in 2012 for "working to rebuff the recent rise in anti-Muslim messages within the American public sphere." Utilizing various degrees of subterfuge, the Council on American-Islamic Relations, the Islamic Society of North America, and the Muslim Public Affairs Council the share goals with Hezbullah, Hamas, and Boko Haram. The FBI broke ties with CAIR in 2009. 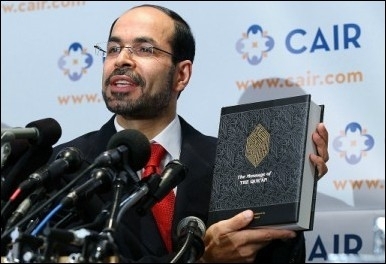 The UAE government listed CAIR as a terrorist group in 2014, along with the Muslim Brotherhood, the Taliban, Al-Qaeda, and ISIS. Some mainstream. Meanwhile, Bail ignores the actual mainstream Muslim groups, such as the American Islamic Forum for Democracy and the Center for Islamic Pluralism. Our bemedaled but benighted sociologist has inverted reality. Worse, even after reading this corrective, he surely will not mend his ways – maybe out of fear of losing all those academic laurels? Bail can reasonably expect to teach elite undergraduates for many decades, stamping left-wing orthodoxies onto impressionable minds. In addition, he might do a stint in government, provide expert testimony in court cases, and engage in popular writing (he's already graced the pages of the Washington Post). I can offer just one consolation for this depressing prospect: Bail's inversion project will not prevail because it conflicts with reality. He and likeminded analysts can argue that all would be well with American Muslims but for we critics of Islamism; that the National Rifle Association bears responsibility for the San Bernardino and Orlando jihadi attacks; and that Frank Gaffney "laid the groundwork for Trump's rise" – but these tattered explanations eventually will fail to convince most Americans. Rather, as Islamist cultural aggressions and murderous rampages continue, we on the alleged fringe are finding increasing support while academics bleating for those darling Islamists while apologizing for their totalitarian ideology will find a diminishing audience for their shoddy goods.